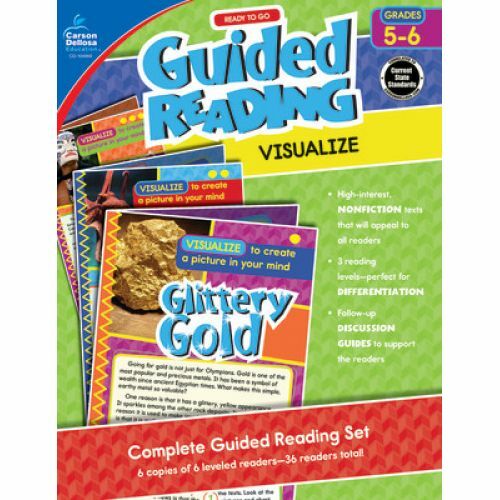 Engage students at every comprehension level with Guided Reading for fifth and sixth grades. 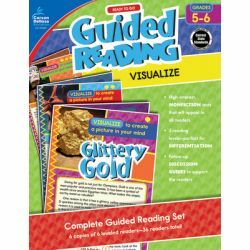 Make lesson planning easier with Guided Reading: Visualize for fifth and sixth grades. This resource includes 36 leveled readers—six sets of two each for below-, on-, and above-level student readers. The readers engage students with text about oceans, caves, unexplained mysteries, and more. The readers are separated by below-, on-, and above-level comprehension skills and feature call-out boxes so students can apply guided reading strategies to the texts. Each reader addresses captivating topics and includes a writing prompt so students can reflect on what they learned.